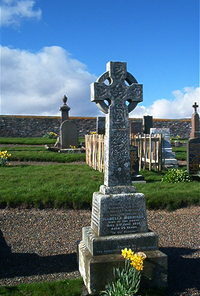 David Ross merchant of Lybster died 16th April 1906 aged 79. Wife Isabella Morison died 6th June 1931 aged 95. Erected by remaining members of the family.